What is Tennessee Doing to Combat the Rise of Distracted Driving? Distracted Driving is a growing epidemic that is sweeping the nation. 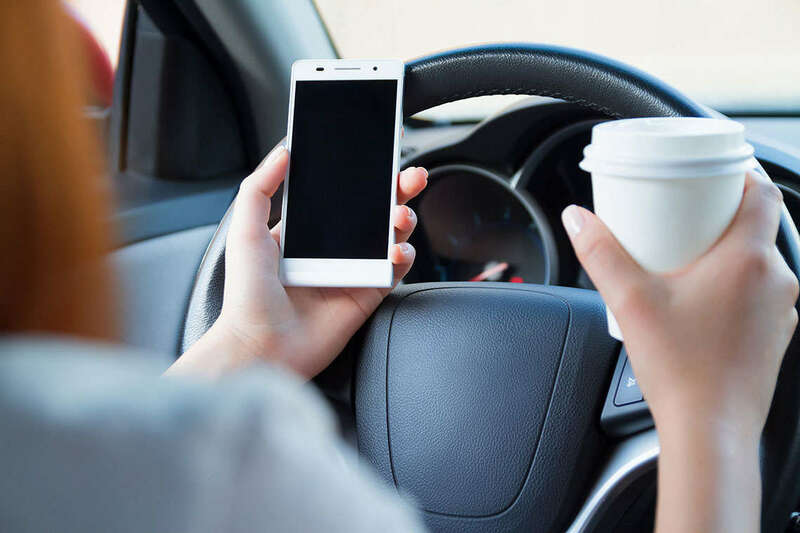 More and more drivers are using cell phones, eating, reading and grooming behind the wheel, and this risky behavior has resulted in tragic accidents. Many states, including Tennessee, are updating their laws and trying different methods to reach distracted drivers. On a daily basis, at least eight people are killed and 1,000 people are injured in distracted driving accidents across the nation, according to the Memphis Daily News. In 2015, Tennessee had more than 197,000 automobile accidents, with 98 percent attributed to distracted driving. These numbers may worry Memphis drivers who remain focused behind the wheel, but Tennessee is approaching the problem in a variety of ways. Here is what our state is doing to put a stop to distracted driving. Recently, Tennessee has toughened its texting and driving penalties on motorists. The House of Representatives approved House Bill 1511 on March 28, in an effort to improve traffic safety and save lives, according to The Commercial Appeal. This bill makes texting while driving a moving violation. The consequence of being found texting and driving is a fine up to $50, four points against a driver’s record and completion of a mandatory driver’s education course, according to The Commercial Appeal. The state also suspends the driver’s license of motorists who accumulate 12 points in a year. Gov. Bill Haslam also signed into law Senate Bill 1596, which stops school bus drivers from using their cell phones when behind the wheel. This law was enacted after a 2014 Knoxville bus crash involving a texting bus driver, which resulted in the deaths of two children and a teacher’s aide, according to CBS News. The bill makes offenders subject to 30 days in jail and a minimum fine of $1,000, according to Tennessee General Assembly. In Tennessee, law enforcement agencies have had a difficult time catching people who are texting and driving, so they are trying a unique way to stop distracted driving. The Tennessee Highway Patrol has begun using tractor-trailers on the interstate to catch people who are on their phones while driving, according to the Memphis Daily News. The higher vantage point allows troopers the ability to see drivers who are typing or have phones in their laps. These tractor-trailers are usually unmarked and the THP have found that distracted drivers often do not notice the truck riding beside them, according to the MDN. When the troopers in the tractor-trailer catch a distracted driver, they radio ahead and other troopers make the stop and issue the citation. The Tennessee Highway Patrol believes that education about distracted driving is essential to help drivers remain focused behind the wheel, according to the MDN. The THP have started using simulators to teach teen drivers just how dangerous texting and driving. One simulator is a converted semi-trailer that houses six individual virtual reality simulator stations and is equipped with steering wheels and brake and gas pedals. Teens are exposed to seven possible driving situations with a focus on distracted driving. If a teen hits anything, the drive is over, and they may also receive a simulated experience of meeting a judge who will give them a fine, suspend their license, and place them in the county jail, according to the MDN. “Kids think they’re immortal and the simulator is an eye-opener,” Gary Lowry, the division insurance manager at the American Automobile Association office in Cordova, said to MDN. There are several things that you can do to eliminate distractions when behind the wheel. Before you get into your car, turn off your cell phone and stow it away, recommends the AAA. You can also store any loose items that could roll around in your car, so you’re not tempted to reach for them. Finish any personal grooming before getting into the car, such as shaving or applying makeup. Eat meals or snacks before or after your trip, so that you don’t have to deal with messy foods at the wheel, advises the AAA. Be sure to secure children and any pets before driving. If they require your attention, pull off the road to a safe location and address them, recommends the AAA. Distracted driving has become a serious problem for law enforcement as well as other drivers on the road. Even if you go out of your way to remain focused while driving, others might not. If you or a loved one has been injured because of a distracted driver, we are here to help. Read more to learn what our car accident attorneys in Memphis can do for you after a serious car accident. If you are ready to pursue a claim, fill out our free, no-risk case evaluation form today.